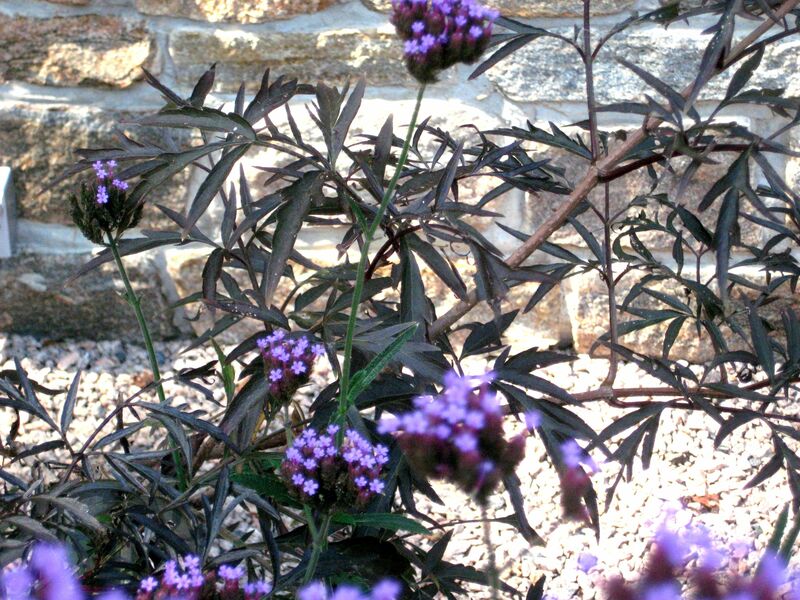 I couldn’t resist chiming in on the Verbena Bonariensis lovefest here on DiggingRI. I too love this plant. It blooms all summer, it’s drought tolerant, and it’s just lovely. I have it in and around my Black Lace Elderberry, and I love the way it picks up and echos the violet tones of the foliage. Best of all, it self-sows! So I don’t ever have to buy it again. Yay! Nice combo with the elderberry, AB! Love this combo, but then I seem to love it everywhere!